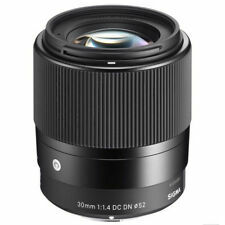 Sigma 30mm F1.4 DC DN Contemporary Lens Features The photographer can use the shallow depth of field at wide-open aperture to take stunning portraits and tabletop still life shots. Photographers can experience F1.4 brightness and standard lens functionality with a 35mm equivalent focal length of 60mm on the Micro Four Thirds system. Panasonic Lumix G Vario 12-60mm/3,5-5,6 Power OIS ASPHVorführgerät vom Panasonic Fachhändler. Es sind ganz minimale äußerliche Gebrauchsspuren erkennbar. Linsen sauber. 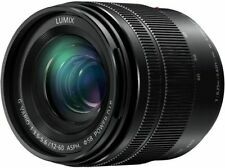 Panasonic Lumix G Vario 12-60mm/3,5-5,6 Power OIS ASPH. I had sharp images with it on a safari to Africa and can find no fault with the images captured. I believe the glass is in excellent condition and the action is smooth. Durch seine Brennweite von 70 bis 200 mm lassen sich auch Objekte in weiter Ferne sehr nah heranholen und bildschirmfüllend abfotografieren. Je nach Bedarf und Einsatzzweck kann zwischen manuellem und automatischem Fokus gewählt werden. Nikon NIKKOR 14-24mm f/2.8 Good Used Condition Case kept 24/7 Wanting to sell to buy a different lens Unfortunately I recently moved and the wife threw away the box. :( Thanks for looking! ✔ Works with olloclip Slim Case. FISHEYE ESSENTIAL. The included clip is also designed to be used with all of our iPhone 8/7 & 8/7 Plus Lenses, so you can swap with any of the lenses. • Swap with other Connect Lenses (for iPhone 8/7 or iPhone 8/7 Plus Clip). Nikon pinhole foro stenopeico innesto Nikon, microforato al laser. Compatibile con reflex digitali Nikon. 1 x hintere Objektivabdeckung für Canon-Objektiv. Dieses Set aus Schutzkappe und hinterer Objektivkappe aus hochwertigem Material passt für alle Canon EOS DSLR-Modelle, die gleichen Größen und Funktionen mit den Canon-Produkten. Canon EF pinhole foro stenopeico innesto Canon EOS, microforato al laser. Compatibile con reflex a pellicola e digitali Canon EOS. CON ALCUNI OBIETTIVI (non tutti). vedi tutti gli ANELLI ADATTATORI OBIETTIVI. SU CANON 5 D MARK 3. E ALCUNE CANON 7 D 650D 700D 100 D. ANELLO IN ROBUSTO ACCIAIO CROMATO. FORCELLA SPORGENTE DELL'OBIETTIVO. SONY E-Mount Objektiv. Auch Ankauf ganzer Sammlungen. SEL 16-50mm/3,5-5,6 PZ OSS schwarz. SONY SEL E 16-50mm/3,5-5,6 PZ OSS. Sa 09:30 bis 15 Uhr. (5) These areORIGINAL adapters. Not grey product or counterfeit. Warranty details are sent with the adapter. By adapter mounting it can achieve functions of EXIF signal transmission, AF(autofocus) and adjustable aperture etc. You're buying from an official "7Artisans" distributor. for the 28mm f/1.4 ASPHERICAL lens. 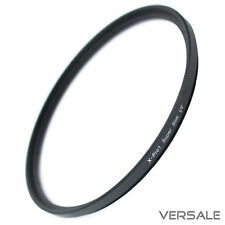 • 1x Cokin P152 ND2 filter – 1 f-stop. Ideal for Landscape, Portraiture, Weddings and Macro Photography, etc. For long exposure photography. It also features a Quick-shift Focus System that allows instant switching from auto to manual focus with a turn of the focus ring. Lens construction What is Refurbished 79° to 23°. Tamron 70-300mm f/4-5.6 Di LD Macro Autofocus Lens for Canon EOS 62mm Filter Kit UV Filter Tulip Lens Hood Universal Screen Protector Lens Pen Dust Blower Lens Cap Holder 3pc Cleaning Kit. Neues AngebotFujifilm Fujinon XF 23mm f/1.4 R Lens, great condition, no reserve! Fujifilm Fujinon XF 23mm f/1.4 R Lens. Condition is Used. Fujifilm 23mm f/1.4 lens. Original Fuji Lens hood. Fuji Lens cap. Fuji rear lens cap. An LED display on the adapter shows the user if their lens will work in conjunction and the MC-11 and it is also updatable with Sigma’s USB docking station. Flocking inside of the converter allows the image to be maintained while the internal electronics record all data from the image for later review. Wherever your Nikon 1 adventure takes you, you’ll be ready for that perfect shot. We make buying online as simple as it can be. Es versteht sich, dass die Beziehung zwischen der optischen Leistung und der Baugröße eines Objektivs oftmals aus Kompromissen besteht und dem einen oder dem anderen Part Priorität gegeben wird. Es ist sowohl als erstes Einsteiger Wechselobjektiv, wie auch als leistungsstarkes All-In-One-Objektiv geeignet. The Samyang 50mm F1.2 AS UMC CS has a significantly low F number (F1.2). Samyang 50mm F1.2 AS UMC CS Lens Optical Features Samyang 50mm F1.2 AS UMC CS Lens Hardware Features Samyang 50mm F1.2 AS UMC CS Lens Specification. Panasonic Lumix G Vario 12-32mm f/3.5-5.6 ASPH. Lens (Black). Characterized by its slim, retractable form factor, theLumix G Vario 12-32mm f/3.5-5.6 ASPH. I am a Nikon specialist based on the Isle of Man, and have a wide range of kit available. Material : metal Color : Black Allows M42 42mm Screw Mount Lens to be used on Fujifilm FX Mount Camera body Smooth surface, strong structure, made of metal There are no electrical contacts in the adapter ring. The Opteka 15mm f/4 LD UNC AL 1:1 Wide Angle Macro manual lens is equipped with both a ultra wide angle of view and 1:1 macro ability. 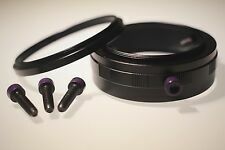 This allows photographers to start experiencing the unique undeveloped field of "Wide Angle Macro Photography". The Lens is a superwide-angle photographic lens of "FISHEYE CIRCULAR" type and is designated to serve as a replaceable lens for M42 mount whish have or don't have the instant-return diaphragm automatic control device. The Lens has a device of diaphragm presetting which increases photographing efficient. The lenses have antireflecting coating. The image being received by the Lens in film camera represents the circle of 24mm diameter. It occupies only part of frame 24x36 and fits in a small side of a frame with a small cutting along the edges. The geometric centers of the image and the frame coincide..
2X HD CONVERTER. The 50" Professional Tripod features a 3 way fluid pan head with bubble level, rubber feet, multi-section aluminum legs and a quick release mount. T-MOUNT ADAPTOR FOR SONY DSLR. HD 2X CONVERTER. Nicht geeignet für die aktuelle Nikon D3xxx und D5xxx Serie (nur manueller Fokus möglich). Tamron AF 18-250mm F3.5-6.3 LD Aspherical IF Macro for Nikon Neu. Des Weiteren befindet sich unter dem Symbol der durchgekreuzten Mülltonne, die chemische Bezeichnung der entsprechenden Schadstoffe. Gebraucht und 100% funktionsfähig. Used and does work 100% fine. Without box and instructions. 24PCS Full & Graduated Filters: Material: Plastic;Provide different color temperature;The color temperature is stable and the loss is small. Use combinations of these filters to create different effects, such as cool effects, enhancing skin tone in portraits, matching ambient, cheating white balance etc. F 4.0 IS PRO Objektiv. Objektivtasche LSC-0914. Objektivdeckel LC-72C. LR-2 Objektivkappe. Gegenlichtblende LH-76B. Professionelles 8,3-fach Reisezoom mit konstanter Blende von 1:4.0. M.Zuiko DIGITAL ED 12-100mm F4.0 IS PRO schwarz. Neben diesen optischen Daten wurde besonderer Wert auf eine ultrakompakte Bauweise sowie auf ein sehr geringes Gewicht gelegt. Das Filtergewinde von 46mm ermöglicht selbst bei diesem Bildwinkel den Einsatz kleiner Filter. A filter adapter is provdied to enable to use of 52mm filters. - 16mm equivalent on 2x crop MFT sensors. Mount: Micro Four Thirds (MFT). Equivalent focal length: 16mm on 2x crop MFT. Lens model: SLR Magic 8mm F4. Neues AngebotOlympus 38mm f2.8 E .Zuiko Auto-S compact "pancake" lens for Pen F FT - Mint-! This is a nice & hard to find Olympus Pen 38mm f2.8 E .Zuiko Auto-S compact "pancake" lens with protective filter & caps for use with the Pen F & FT half-frame SLR cameras in exceptional condition! The lens hardly shows wear so I rated it a 9 condition! 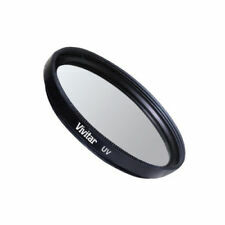 The glass optics are also clean with no scratches, marks, fungus or dirt. It focuses smoothly and the aperture works properly with no problems. MFR# 1276C002. NANO USM Autofocus System. Canon EF-S 18-135mm f/3.5-5.6 IS USM Lens. 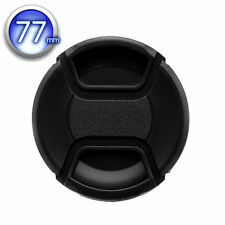 E-67 II 67mm Lens Cap. Lens Dust Cap E (Rear). We utilize multiple warehouses across the Continental United States. Fujifilm Fujinon XF 23mm f/1.4 R Lens, no reserve!